Corrupt officials stand trial in Russia less and less | Russian Legal Information Agency (RAPSI). MOSCOW, March 27 - RAPSI. Investigators registered more corruption violations in Russia in 2011, but less suspects stood trial, the Vedomosti newspaper reported on Tuesday referring to the Prosecutor General's Office report. Some 312,330 violations were uncovered in 2011, almost 40 percent more than in 2010, according to the report of the Prosecutor General's Office submitted to the parliament. The office attributes the skyrocketing growth to the audit of the officials' income declarations ordered by the president. Nevertheless, the number of initiated criminal cases increased by mere eight percent and the number of suspects in corruption who went on trial dropped by four percent compared to 2010. 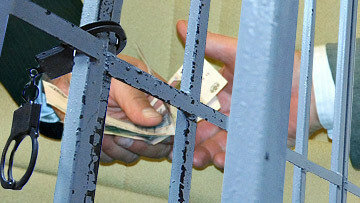 11:07 27/03/2012 Investigators registered more corruption violations in Russia in 2011, but less suspects stood trial.